The Infiniti Q30 and QX30 will share a platform and engines with the Mercedes A-class and GLA models. TOKYO -- Nissan Motor Corp. has poached BMW veteran Roland Krueger to head its leaderless Infiniti luxury unit, lending a touch of German flair to a brand struggling to break out of the second tier. Nissan said it had not determined the starting date for Krueger, a 48-year-old German national who most recently served as a senior vice president at BMW Group. Krueger, 48, steps into a brand twice stung by recent defections, first by brand President Johan de Nysschen’s departure to Cadillac in July, then by the exit of its chairman, Andy Palmer, last week. Palmer is the new CEO of Aston Martin. Krueger will be based at the brand’s global headquarters in Hong Kong and report to Nissan CEO Carlos Ghosn. Nissan said on Tuesday the company is still discussing when he will start. Krueger, who started his automotive career as a designer, will be tasked with raising Infiniti's global profile and sales to compete with brands like BMW and Audi, as Infiniti vehicles go through a design revamp. Krueger’s arrival will re-establish leadership at a critical time for Infiniti. Krueger will be president of Infiniti and a senior vice president of parent company Nissan. Befitting the sporty performance image Infiniti aspires toward, Krueger is an accomplished extreme adventurer, credited as being the first German to trek solo to the South Pole, without the aid of dogs, motors or food deliveries. On leave from BMW, he reached the icy milestone on Jan. 12, 2013, after skiing 50 days and pulling a sled behind him across the frozen tundra. Krueger's arrival will re-establish leadership at a critical time for Infiniti. Krueger will need that relentless energy to keep stoking Infiniti’s recent expansion. Sales are charting record highs, production is planned to begin in Britain, China and Mexico, and joint projects with Mercedes are finally bearing fruit. Meanwhile, a favorable yen exchange rate is shoring up profits. And Infiniti is poised to unveil a preview of its planned halo car at the Paris motor show in October, in the form of a fastback sedan. Yet, the brand still trails far behind BMW, Mercedes-Benz and Audi -- not to mention Japanese rival Lexus -- in premium cachet and worldwide sales. Krueger’s job will be to parlay his experience at BMW into lessons Infiniti can emulate. 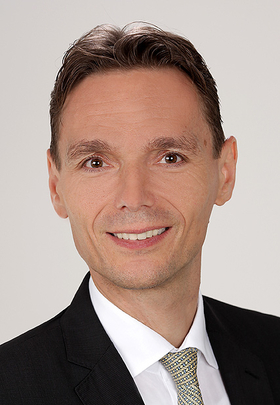 Krueger joined BMW in 1998 as a manager of strategic product planning. From 2008 to 2012, he served as CEO of the German automaker’s Japan unit. Most recently, he was senior vice president in charge of the German domestic market. Krueger entered the auto industry in 1992 as an interior and exterior designer at Mitsubishi Motors Europe. He later joined the Daimler Group, where he worked on Smart car interiors. Krueger studied industrial design at the University of Applied Science in Munich and has an MBA from INSEAD business school in France. He is also a founder of ExplorersLog.com, which chronicles the exploits of like-minded adventurers. Infiniti sold a record 101,220 new vehicles around the world in the first six months of 2014, the most recent global tally it has reported. Volume was up 30 percent from a year earlier. Krueger will face big pressure to ramp up that pace. His new boss Ghosn has targeted annual Infiniti sales of 500,000 vehicles in the fiscal year ending March 31, 2017. That’s a goal that de Nysschen, himself recruited from Audi in 2012, once dubbed "inordinately ambitious." Before leaving Nissan, Palmer tried to reassure dealers and Infiniti employees that the company’s long-term business plan was still on path. The plan entails a 60 percent increase in the number of models by the end of this decade to eight sedans and coupes and five crossovers and SUVs. The blueprint includes at least one halo nameplate above the current flagship Q70 sedan. And it also calls for doubling of the number of engines and transmissions during that period. Ghosn said last year that Infiniti’s contribution to Nissan Motor’s operating profit was “practically erased” in the previous two years by the strong yen. But the sharp weakening of the Japanese currency since last year has helped margins. Meanwhile, Infiniti is insulating itself from currency swings through a growing product-sharing relationship with Daimler. 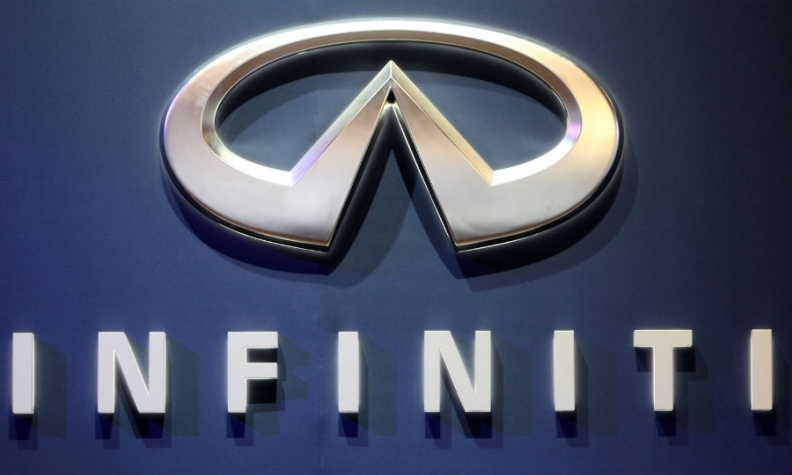 Indeed, Nissan and Daimler unveiled plans in June to spend 1 billion euros ($1.36 billion) to produce 300,000 compact Infiniti and Mercedes vehicles a year at a new factory in Mexico, starting in 2017. That announcement followed the opening of an Infiniti and Mercedes engine factory in Decherd, Tennessee, which makes engines for the Infiniti Q50 and Mercedes-Benz C class.